Leopold – Personal WordPress Blog Theme – FEELMAN. 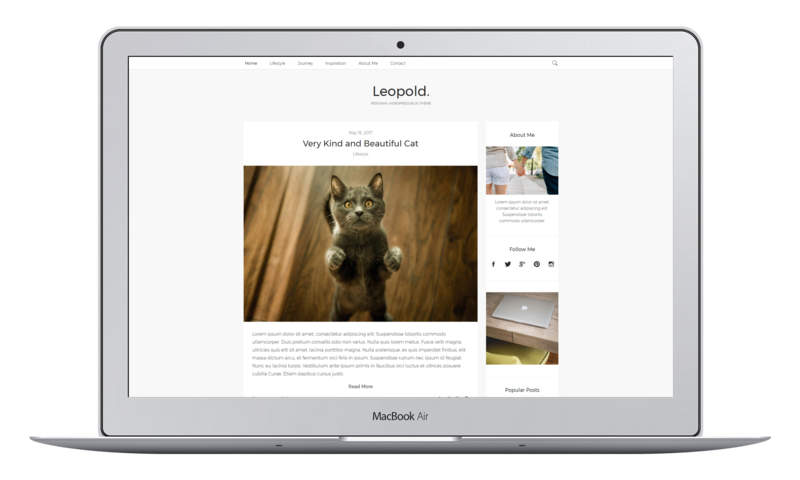 Leopold is a Modern, Minimal and Clean Personal WordPress Blog Theme for all, because it has 6 different types of the blog layouts, 2 types of the post layouts, customization options to change the colors and sizes of elements. Theme was designed with a combination of clean minimalist and functional.